Declan Devine's Derry City will face Finn Harps in the EA Sports Cup quarter-final. 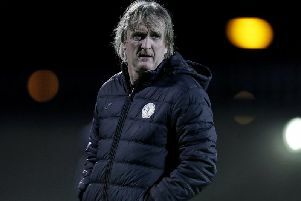 EA SPORTS Cup holders Derry City face a north-west derby in the quarter-finals of the competition with Finn Harps set to travel to the Ryan McBride Brandywell Stadium. The EA SPORTS Cup quarter-final draw was completed at FAI HQ, Abbotstown and will see Declan Devine's side welcome their local rivals as they look to defend their title. Cork City will travel to Dalymount Park to take on Bohemians whilst Dundalk welcome U.C.D. to Oriel Park. 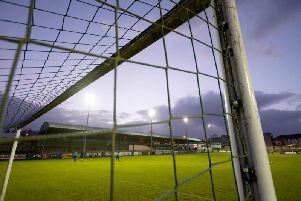 Bray Wanderers, the only SSE Airtricity League First Division club left in the competition, will welcome Waterford to the Carlisle Grounds with all ties set to take place on Monday, May 27, with kick-off at 7.45pm.